One of the most important offering made to Ganesha is the Durva Grass. There is an interesting story associated with the offering of Durva Grass to Ganesh. The story also indicates about the medicinal property of Durva Grass, which is also known as Darba, Dhub, Haritali and Arugam Pullu. Legend says that a demon named Anala had gained several boons through years of penance. He had even got the boon of immortality. Anala was also the son of Yama, the Hindu god of death. People could no longer tolerate the destructive activities of the demon. 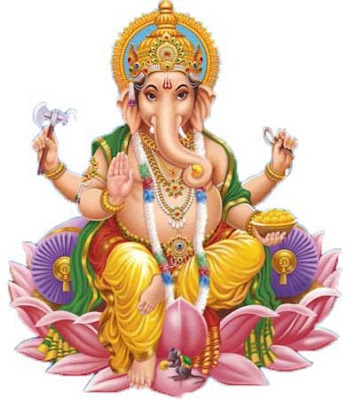 Therefore, saints, humans and Devas approached Ganesh for a solution. He promised to help them. But there was no way to annihilate Anala, so Ganesh simply had to eat him alive. Now this divine act caused numerous problems like heaviness and indigestion. To get relief from this constant problem, Ganesha eats Durva Grass. To alleviate His stomach pain, it is said that Sage Kashyap gave him 21 stacks of Durva grasss to eat. After eating them, the pain went away. Since then it is believed that offering 21 stacks of Durva appeases Ganesha. Devotees therefore provide Durva grass to Ganesha in the form of offerings. In nature, dogs and cats eat durva grass to get relief from stomach disorders. Today Durva grass is widely used in medicines meant to cure indigestion and other stomach ailments.